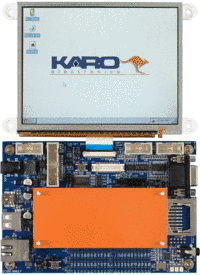 The TX Mainboard 7 is a ready-to-use development system for building applications based on the TX embedded processor boards. A 7°C/W Heatink including gap filler to be mounted on any TX standard module. The TX Heatsink Kit provides also a secure mounting of the module.